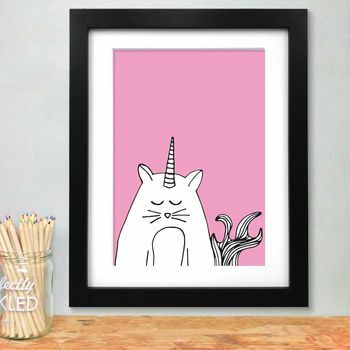 This is a fun illustrated wall print featuring a cat unicorn or caticorn. Funny, unique and attractive, this art print is sure to start a conversation once it is framed and on your wall. 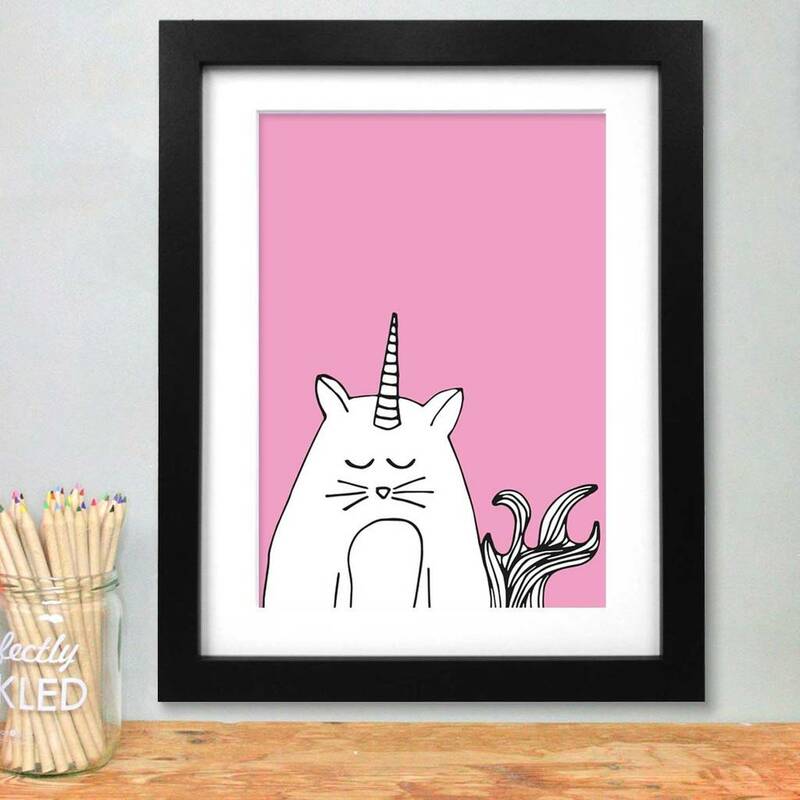 This art print features an illustration of a unicorn cat. This print would make a perfect art print for a bedroom wall or a gift for someone who loves unicorns.